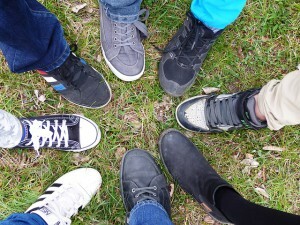 Foot odor explained – Why does my feet smell!? Welcome to the stinky feet website! If you have problems with stinky feet, you know that it can practically take over your whole social life! You wash your feet, you change your socks, you buy new shoes, but the problem persists! Maybe the smell goes away for a short while, only to come back when you least expect it, causing you social embarrassment. After a while you ask yourself if it is your feet, shoes, your socks or something completely else. If this sounds familiar, you have found the right website! We want to help you solve this problem!! We do not sell anything, and we do NOT claim that we have a miracle cure. We’re gonna give you tips you need on how to win the war against stinky feet, and how too keep the smell away on a day to day basis.